Back in 2009, the Japanese Space Agency JAXA announced moon hole deep enough to contain a small human base. Now, the Indian Space Research Organization has discovered a "giant underground chamber" near the Moon's equator, in the Oceanus Procellarum area. 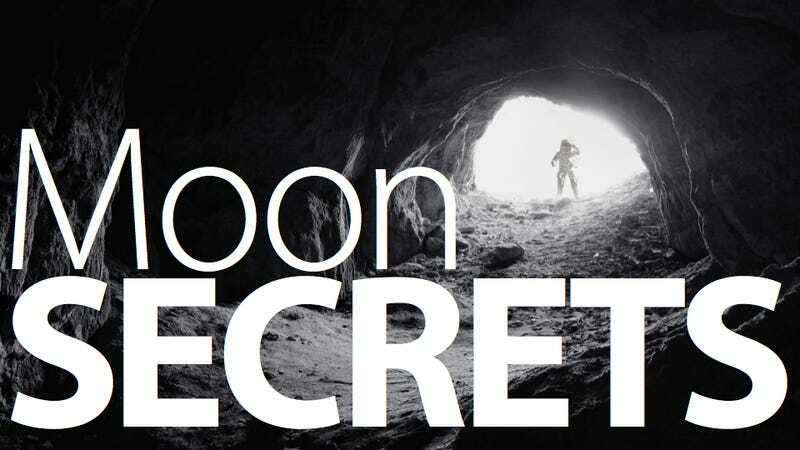 The huge cave— discovered by the Chandrayaan-1 spacecraft—is more than one mile long (1.7 kilometers) and 393 feet wide (120 meters). By comparison, the vertical hole that Jaxa discovered was only 213 feet (65 meters across) and 289 feet deep (88 meters). This new chamber is big enough to contain a small lunar city or a secret Nazi base with a few thousand UFOs. Lava provides a natural environmental control with a nearly constant temperature of minus 20 degrees Celsius (-4 degrees Fahrenheit), unlike that of the lunar surface showing extreme variation, maximum of 130 degrees Celsius (266 degrees Fahrenheit) to a minimum of minus 180 degrees Celsius (-292 degrees Fahrenheit) in its diurnal (day-night) cycle. They also point out that explorers would only need minimal construction, without the added cost of having to use expensive shields against the hazardous lunar environment.